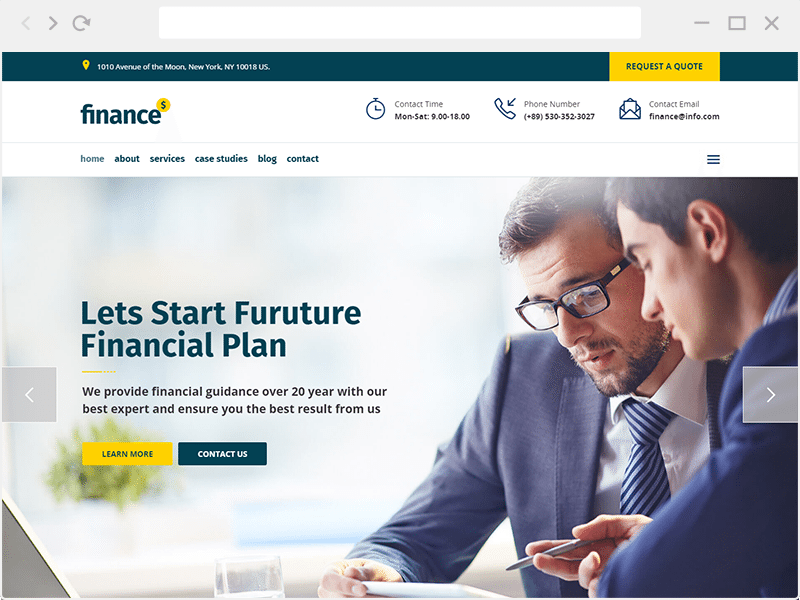 Finance is Financial & Business Wordpress Theme is created for business websites. it can be a great choice for your Company. 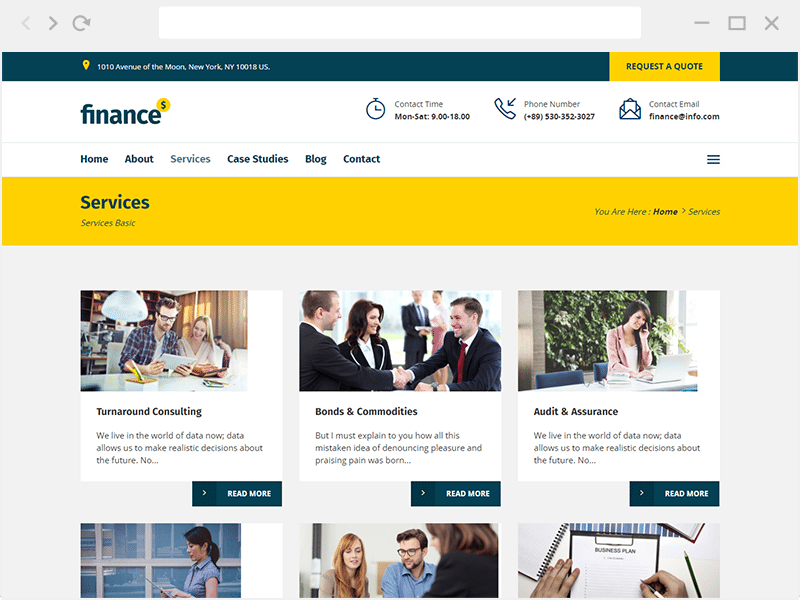 This theme suitable for anyfinancial and consulting offices, law offices, accountant offices and insurancecompanies. 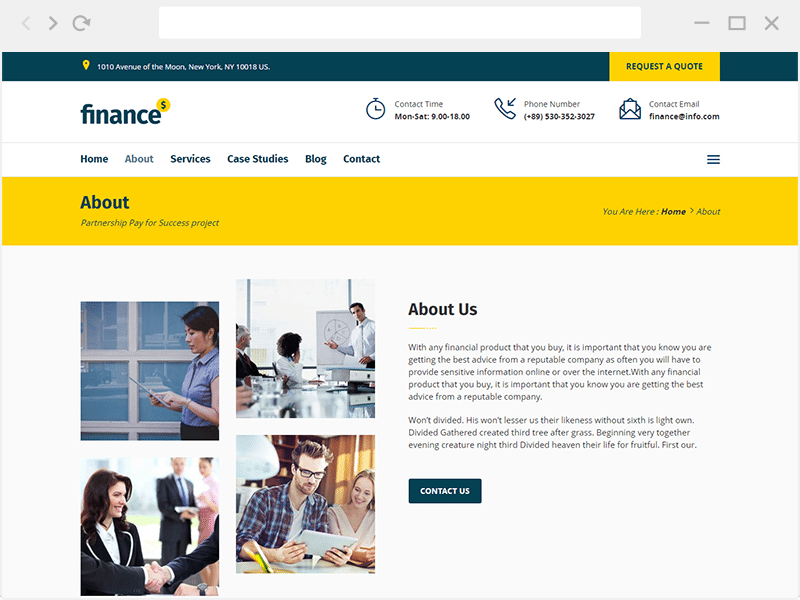 Finance also have page template that built using meta box.